The School Council have been busy planning lots of activities to raise money for Children in Need e.g. dressing in something spotty or yellow. 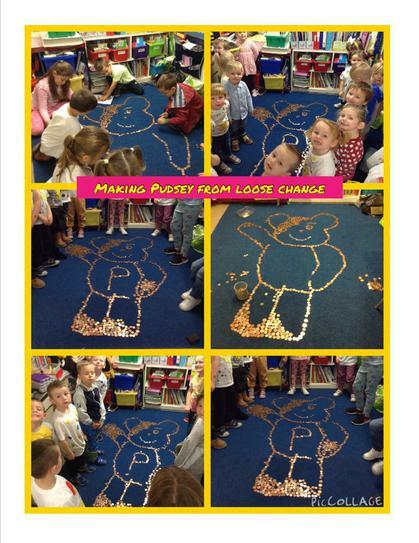 We have also filled a picture of Pudsey Bear with coins! well done everyone on a fantastic effort to raise £250.